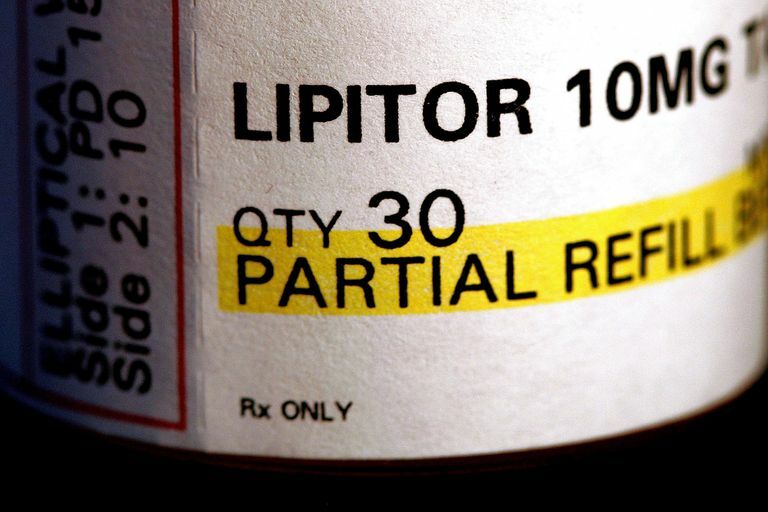 Cholesterol-lowering statins such as Lipitor (atorvastatin) and Crestor (rosuvastatin calcium) are among the most widely prescribed drugs on the market today. Their purpose is to lower blood cholesterol by reducing the amount of cholesterol produced by the liver, but they have several other effects. With regular use, they can not only lower "bad cholesterol" (LDL) but also triglyceride levels. They can boost your "good cholesterol" levels (HDL), too. Research has shown that the salutary effect of statins on cholesterol may not be their only benefit. Statin therapy has shown promise for everything from fighting viral infections to protecting the eye from cataracts. Like cholesterol, inflammation of the coronary arteries is one of the several factors that can lead to heart attacks and strokes. C-reactive protein (CRP) is a key marker for this harmful inflammation, and statin use helps lower CRP levels. A study published in 2007 reviewed the results of several clinical trials that involved angioplasty patients taking statins. It found that CRP levels were at least as helpful as "bad cholesterol" levels in predicting patients' risk of recurrent heart events. One of the more surprising effects of statin use has been its apparent bug-fighting properties. A 2004 Canadian study found that statins suppressed the attachment of the HIV virus to potential host cells. A 2005 study of more than 700 hospital patients being treated for pneumonia found that the death rate was more than twice as high among those who were not using statins. In 2006, a Canadian study examined the rate of sepsis, a deadly blood infection, among patients who had been hospitalized for heart events. In the two years after their hospitalization, the statin users had a rate of sepsis 19% lower than that of the non-statin users. A 2009 review of 22 studies found that statins appeared to have a beneficial effect on the outcome of infection, but they couldn't come to a firm conclusion. Statin use also appears to decrease blood pressure, although just modestly, which is not significant enough to rival existing blood pressure medications. A British study in 2007 reported that among statin users, readings were reduced by an average of 1.9 mmHg for systolic blood pressure and 0.9 mmHg for diastolic blood pressure. These units of measurement for blood pressures are represented by the "first" or "top number" indicating the systolic reading and the "second" or "bottom" number indicating the diastolic reading. In patients whose blood pressure started very high, statins appeared to produce a 4.0 mmHg drop in systolic pressure. Atrial fibrillation (AF) is an irregular heartbeat that commonly occurs after heart surgery. This can lead to longer hospital stays or even strokes or heart failure. In a 2006 study, patients who were given a week-long course of statins before surgery had a 61% lower risk of AF. Some evidence indicates that statin therapy could inhibit the progression of Alzheimer's disease. In a 2007 study. A study published a year later, however, followed living patients over 12 years, found no significant difference in Alzheimer's rates between those who took statins and those who didn't. A 2014 review of four studies, including two large randomized controlled trials, found no evidence that statins helped with cognitive decline in dementia. If you have high cholesterol, your doctor may prescribe you a statin drug. Still, statins may not be appropriate for everyone, so talk with her about whether or not they are suitable in your case, why, and what your other treatment options might be. Giguere, Jean-Francois, Michel Tremblay. "Statin Compounds Reduce Human Immunodeficiency Virus Type 1 Replication by Preventing the Interaction between Virion-Associated Host Intercellular Adhesion Molecule 1 and Its Natural Cell Surface Ligand LFA-1." Journal of Virology. 78(2004): 12062-12065. P Kopterides and ME Falagas. "Statins for sepsis: a critical and updated review." Clinical Microbiology and Infection 2009; 15(4): 325-334. Mortensen, Eric M., M.I. Restrepo, A. Anzueto, J. Pugh. "The Effect of Prior Statin Use on 30-Day Mortality for Patients." Respiratory Research. 6:1(2005): 82. 29 Sep. 2008.